X5 Music Group, an European music company which specialized in the digital download market sold via online music stores, mobile operators and mobile handset manufacturers, is giving away the full album of “The 99 Most Essential Winter Classics”, which contains mainly concerto and symphony orchestra classical musics. 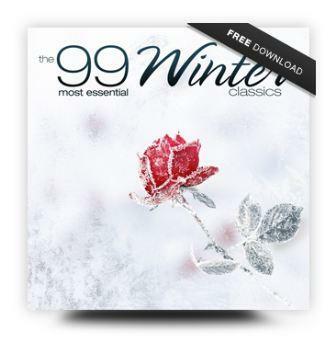 To download the The 99 Most Essential Winter Classics album, just sign up at http://campaign.x5music.com/winter.php. The download link to the ZIP package that contains all the MP3 music tracks will be sent to the registered email address. Note that the full download of The_99_Most_Essential_Winter_Classics.zip is 722 MB in size.